At the beginning of this week I got a call from a Latvian courier who had a delivery for me, which was almost a surprise. The thing is, on Instagram I saw some of the bloggers receiving the perfume and I had a feeling this is it. I was right and the YSL perfume couldn't come at a better time! 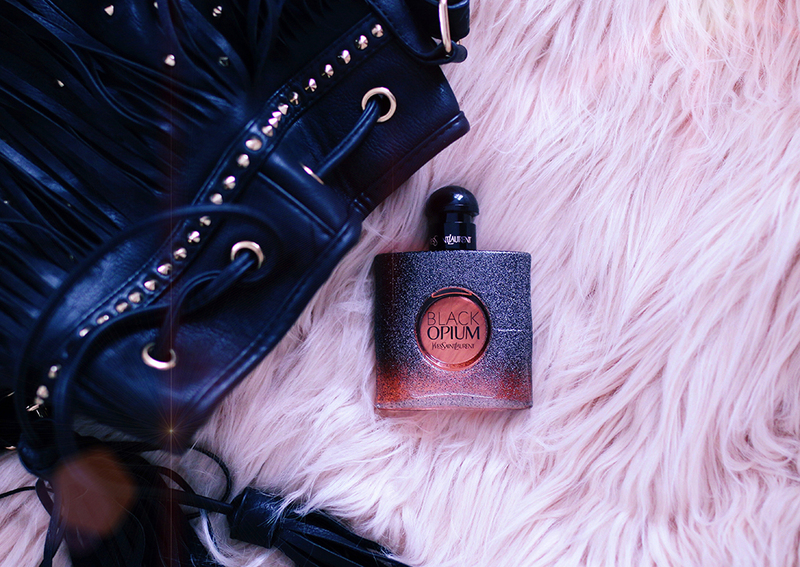 Black Opium Floral Shock by Yves Saint Laurent is a new edition of the popular Black Opium collection. The new and fresher version was launched in January of 2017. I really like the lady-like scent and the design of the bottle. Vanilla fans, this is something for you, too! My boyfriend, on the other hand, will suffer a little, he hates it. Hopefully he'll get used to it because I'm going to use every drop of it! EDIT: He said he doesn't hate it. LOL! This perfume was a PR gift. Nii kena vaip/tekk! Kust pärit?